The colossal chasm in the diets of the rich and the poor is no secret, but just how vast is it ? Mankind’s fascination with the rare has led to food sometimes selling at absurdly expensive prices. If you have sampled any of these so far, then you’re fortunate enough to be a part of the upper echelons of society,the ultra rich. Here are some outrageously expensive food items that are sure to eat into your pocket. The Japanese, like us, treat their cattle well… except that it’s for slaughter, not worship. To ensure beef of the highest quality, the cattle are fed on a diet of top notch ingredients and plentiful of beer. Yes, you heard it right, beer. Frankly, anyone willing to shell out $500 on a kilo of meat would have to be a little drunk themselves. Taking home-wrecking to a new level; it was in China that the idea of consuming entire nests first originated. With prices going upwards of $3000 per pound, this item is not your everyday cup of tea (soup). The unfortunate bird in question is the swiftlet, whose nests are raided, not for the eggs, but the nest itself. The swiftlet makes its nest almost entirely of its saliva. 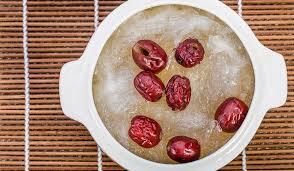 The bowl of spit that is then concocted is said to have incredible medicinal properties. A delicacy since ancient times,caviar (fish eggs) is believed to have extraordinary health benefits, from aphrodisiac properties to increased lifespan, although it does come with the mild side effect of leaving you a couple of thousand bucks poorer. True caviar comes from the sturgeon, a fish that matures slowly. 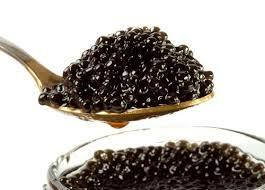 The almas caviar, the most expensive kind, sells at $25000. It could probably cost a jail term too besides all the money, since the sturgeon is an endangered species, making caviar from wild sturgeon illegal. In what is increasingly becoming a common trend, the Midas of the modern day can indulge himself in gold-garnished dishes. 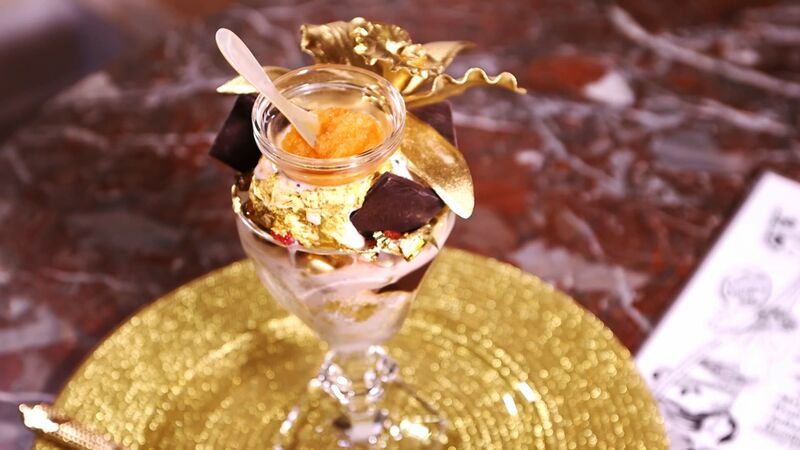 Edible gold comes in different forms : flecks, dust, coating, sheets and leaves, making a treat for the eye as well.Serendipity, an upscale New York restaurant, sells the Golden Opulence Sundae, an ultra luxurious gilded dessert, for a whopping $12000. What’s funny though is that gold has no nutritional value, no distinct taste and nor can it be absorbed by the body. Meaning that’s a lot of gold gone literally down the drain. Most of us would squirm to see mold growing through our walls. There are some fungi, though, that go straight through the roof, though in terms of prices. 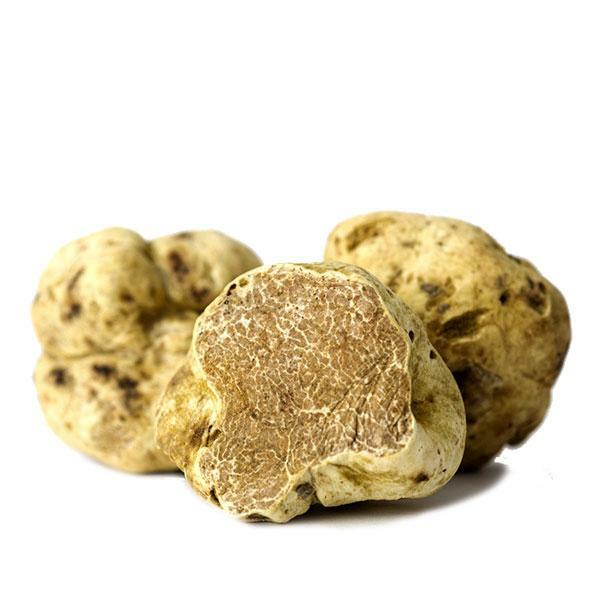 Truffles are a variety of fungus that grow underground,and come in different shapes and colours.The most expensive varieties sell for $160 per pound. 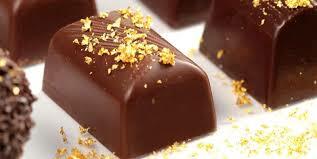 The unique earthy flavour, and the enticing aroma is supposedly what many feel makes the truffle worth all the trouble. Whether these ingredients are just over hyped symbols of prestige, or true delicacies, is something we’ll probably never know. (Unless you’re Bill Gates reading this). Otherwise, it’s food that can be appreciated only by someone with a truly expensive taste.